Ever had whiplash? Do you still hurt? Do you want to get better? You can! 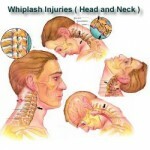 Ever had whiplash? Have you been in a car accident and been rear ended or hit from the side? Chances are you have had treatment, maybe physical therapy, chiropractic or massage? Perhaps you have had to take pain medications? You’re probably somewhat better, but you’ve got that nagging headache, right…or…nagging tingling and numbness in your arm…or upper back pain…or all three. There is hope. New science has come out that tells us there are “core muscles” in your neck that need to be re-programmed to contract in the right order, then strengthen your neck. Why is there a need for a “special” training program? 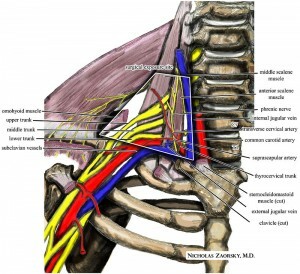 If you have whiplash the order of the muscles contracting becomes messed up. Normally the core muscles contract the make your neck stable, then large muscles sternocleidomastoid and scalenes) pull on the neck to rotate it or pull on your neck as you lift your arm. 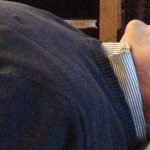 After whiplash, large muscles (the big ones you can see on the sides of your neck) contract first to splint the neck. 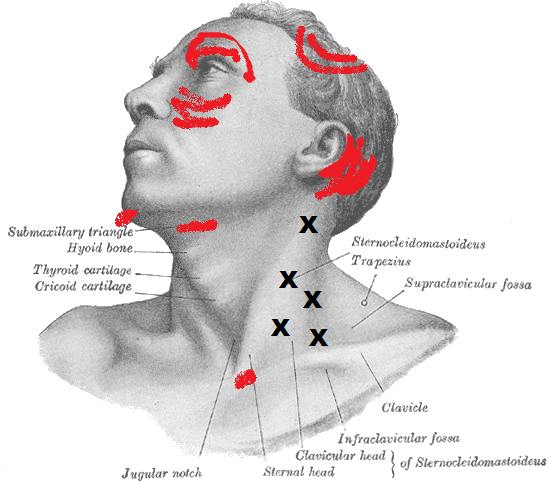 The problem is, the right order of muscle contraction does not come back and the large muscles (sternocleidomastoid and scalenes) keep contracting, which causes headaches (see the headache referral pattern for sternocleidomastoid) and arm tingling and pain (see the scalene brachial plexus picture below). >What can you try at home to help this pain? Nod your head in little tiny nods, like you are nodding “yes” to getting better. If that does not clear up your pain or tingling, give us a call to schedule an appointment to get relief from your whiplash pain!